As we go along life’s challenges involving finding a job that pays equivalent to our skills and professional capabilities, it is hard to find one without a guide. And so here is a very simple yet effective way in finding the right job with the right salary for those who are looking to get hired for work abroad without placement fee. These tips are abound online and so we at Jobs in Manila found a way to research for some of the highest paying jobs in Singapore for Pinoys and expats looking to work there. We will also be highlighting some of the best resources and actual links to where you can directly apply without the risk of getting scammed nor paying high placement fees in return for getting hired for this dream job of yours. Ready your pen, your computer or what else you’ve got including your resume as what we are about to reveal may be so simple and yet most job seekers oversee or overlook doing them. Top 5 Ways to Find the Highest Paying Job in Singapore? Resources is one of the most important factor in finding your dream job in Singapore and so we wanted you to prepare first before anything else what you will need in order to maximize getting hired for the right position you wanted to work in to for a company. You might even be looking for the same exact company others are also vying to get hired so be ready to be the first and be ready to be at your best. A good compelling resume – You need to stand out from the others especially from your competition – PR’s or permanent residents. They are the usual priority when it comes to hiring an employee in Singapore for so many reasons which include the culture of hiring in this county. If you can’t beat them with this aspect, you can definitely beat them simply by submitting the best resume ever. A good resource for free resume samples / templates can be found here – http://www.hloom.com/download-professional-resume-templates/. Be sure to choose the perfect theme and put in your best criteria for judging based from your wit and instinct. Always remember to be at your best and that the competition is stiff. Think that you only have 1 shot at your application and so don’t fail yourself by just doing it. You have to do it with grace and use your best effort. Compare if you must with criteria for qualification from other applicants. Knowledge with online search and resources – Not everything you can find online today are legitimate sources or good to apply for especially if you are looking for work overseas. 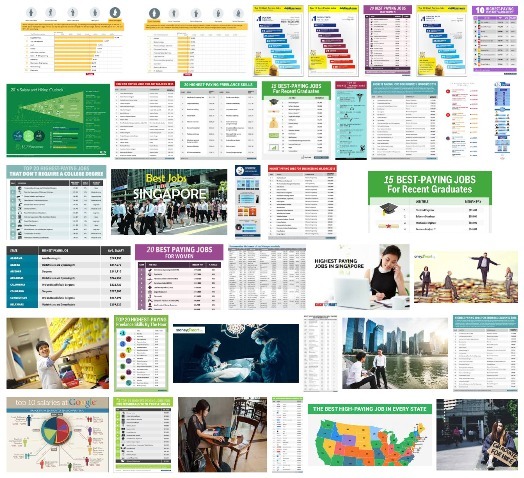 If you want to get hired for the highest paying job in Singapore, you need to realize that the one and only best place you can find it is in Singapore jobstreet.com. Apart from the highest paying job postings can be found there, easy to search and find, you can upload your own resume and you won’t even need to send thru email to apply. When you click on apply, your resume will automatically be sent to the employer or HR department for evaluation as stated in the hiring duration for the particular position and company your are applying for a job with. There is also a very important feature there that you can immediately use in order to compare which companies offer the same job position with a higher salary. Another excellent usability feature for Jobstreet is that where you can see who else has applied for the position you are also vying to get hired for. There, you will see the level of education and experience of your competition which is a very good thing to know if you have higher chances of getting hired or less. Jobstreet Resume Builder – This is the best feature ever that I came to experience and find with Jobstreet.com’s usability feature for users and job seekers or applicants. With the resume builder functionality inside their website, you will simply have to create an account using a valid and working email address and you’re good to go. From inside the builder interface, you will be allowed to post in your specific desired salary which you can edit and adjust as you find other applicants for a position and see how much they are asking for salary in exchange for getting hired with a particular company. Please realize that having different skills and professional qualifications, you can create multiple resumes using different email addresses. With this, you have to edge to apply to different positions using your perfect resume. Note that you need to be logged in to view specified salary for a particular job vacancy. Shifting between different accounts and using your best qualification resume can help you with applying to a different criteria or job position. Bookmarking – While everybody is content at direct application with an employer, there is a special online feature for many mobile phones and personal computers or desktop and we call it bookmarks. Use this in order to first find the best fit position and company to apply for. Later on, you can use the same feature to get the highest paying job in Singapore without the fear of running out of vacancies. Do note however that these hiring positions can be out of date or has been posted a couple of days ago so don’t delay your application. Apply ASAP and use your bookmarking technique only to pool job vacancies for the day and apply later on the same day. Remember that you have competition ahead so you must be the first in line in order to get noticed. Recruitment agencies in Singapore – Take note always that you might have a higher chance of getting hired by applying to employment/recruitment agencies in Singapore. These companies require less strict qualifications and if you have one and undergo their process of hiring, you have bigger chances of getting hired easier. Plus these recruitment agencies don’t require you to be in Singapore to apply. You can also find them in Jobstreet. You’ll just have to be observant to know who these players are. If you like, you can visit to see some of the top on the list here – http://www.livinginsingapore.org/top-9-best-recruitment-agencies-in-singapore/. If you are still having a hard time trying to easily find a great position and company to apply for in Singapore, here is another extra tip. Try to use the special search box feature which you can easily find on the near top left side of the page of Jobstreet Singapore. That feature allows the job applicant or user to search for a category specific job, position specific vacancy or company specific job offers. You can even use the search box feature to search for Recruitment firm vacancies as well as keywords based from specialization, salary or job title. 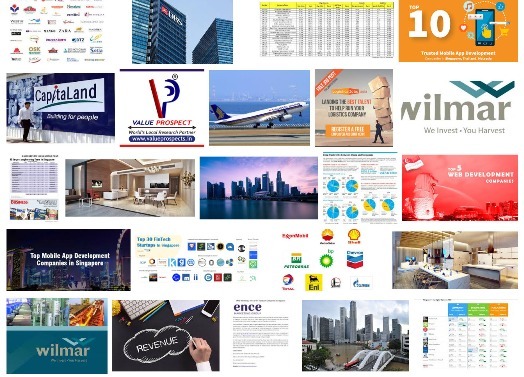 This entry was posted in 2017 Jobs, Abroad, Recruitment Agencies and tagged highest paying jobs, job vacancy, jobstreet singapore, overseas jobs, singapore jobs, singapore recruitment, work abroad. Bookmark the permalink.